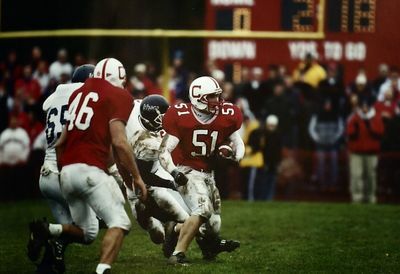 Cortland's #51 running with the ball, breaking away from Ithaca. 2000 Cortaca Jug. Ithaca defeated Cortland 19-14.